Computational tools allow material scientists to model and analyze increasingly complicated systems to appreciate material behavior. 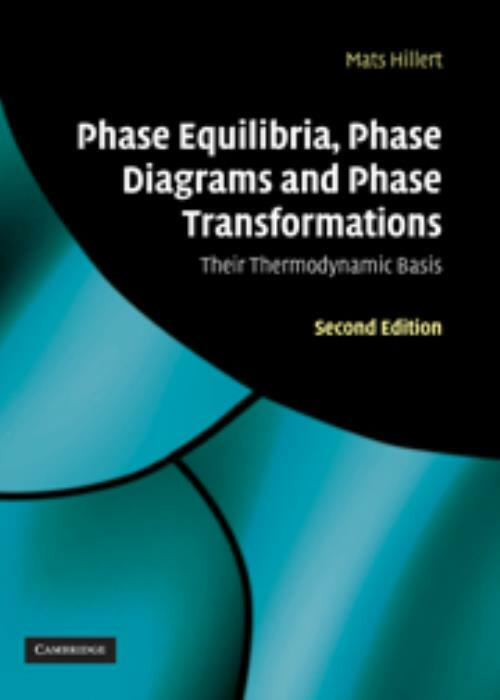 Accurate use and interpretation however, requires a strong understanding of the thermodynamic principles that underpin phase equilibrium, transformation and state. This fully revised and updated edition covers the fundamentals of thermodynamics, with a view to modern computer applications. The theoretical basis of chemical equilibria and chemical changes is covered with an emphasis on the properties of phase diagrams. Starting with the basic principles, discussion moves to systems involving multiple phases. New chapters cover irreversible thermodynamics, extremum principles, and the thermodynamics of surfaces and interfaces. Theoretical descriptions of equilibrium conditions, the state of systems at equilibrium and the changes as equilibrium is reached, are all demonstrated graphically. With illustrative examples - many computer calculated - and worked examples, this textbook is an valuable resource for advanced undergraduates and graduate students in materials science and engineering. Mats Hillert KTH Royal Institute of Technology, Stockholm. Mats Hillert is a Professor Emeritus at KTH (Royal Institute of Technology) in Stockholm.